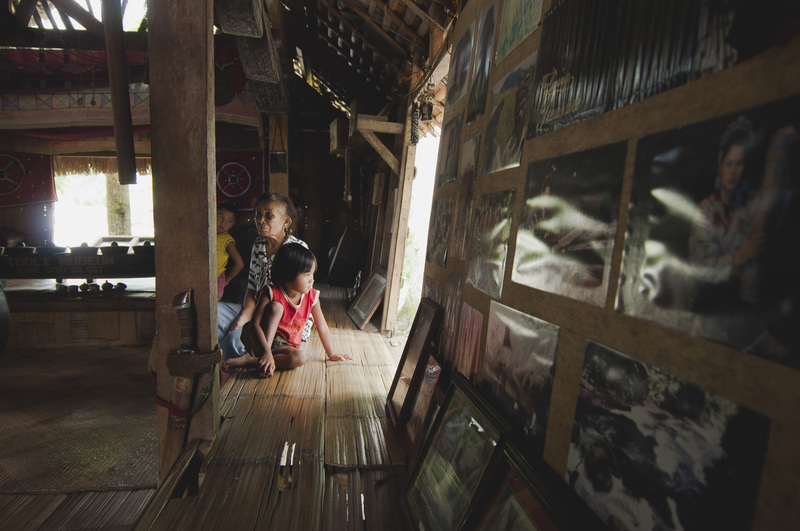 The trip to Lake Sebu was such a pleasant trip because we got to relax and enjoy the scenery. 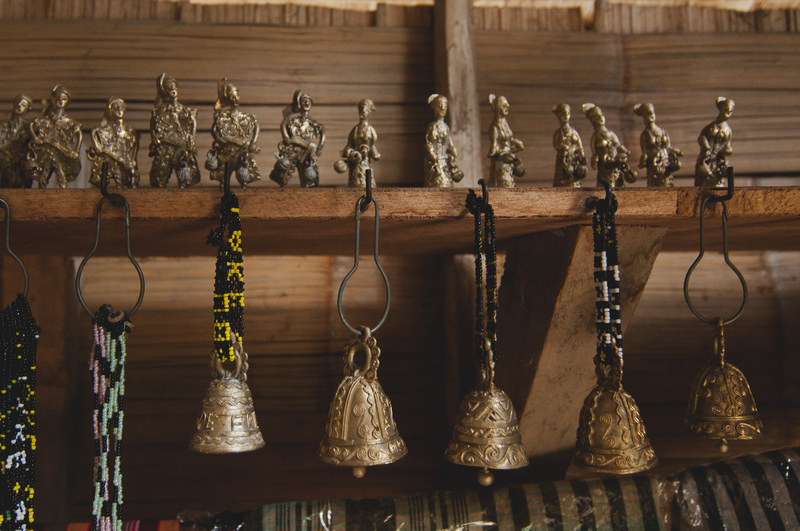 None of the rushing about that usually comes with carefully planned itineraries and scheduled tourist spots. (I have nothing against that, though; sometimes, it just gets stressful when you’re too focused on checking everything off your list.) 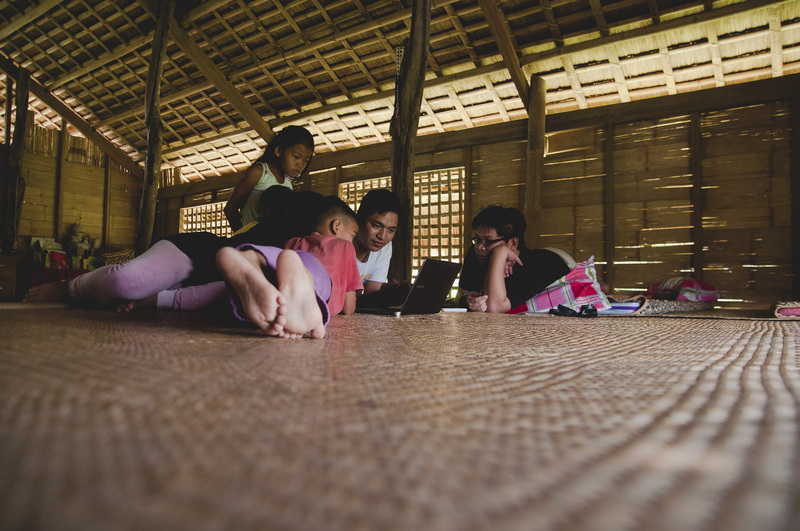 We got to talk to the family we were staying with in the School of Living Tradition; we were able to take (long) naps; we played or watched movies with the kids; and I got to write, too. Just small notes to help me remember the important things. 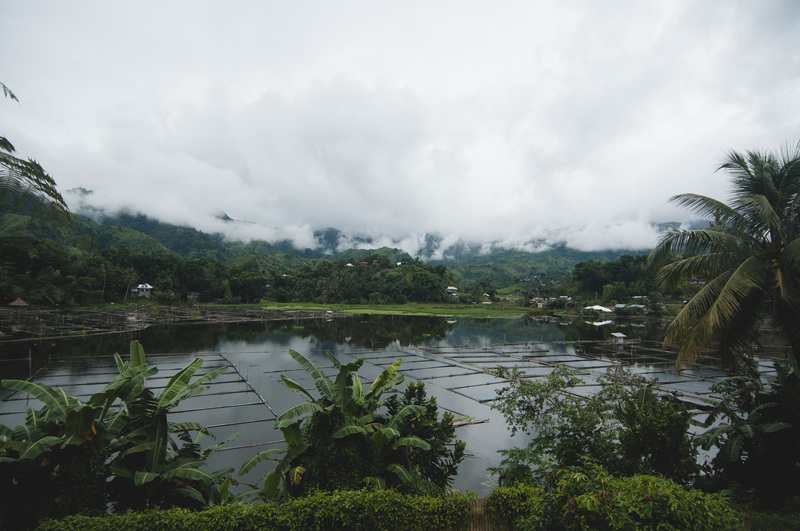 I still have a few photos from the trip so I decided to share them here, along with my notes and scribbles, to help you get a feel of Lake Sebu. It feels like Christmas here. The weather is cool and the smiles are warm. The scene is tranquil, almost dream-like with its mist-covered mountains and sprawling shades of green, the silence disturbed only by the rumble of motorcycles passing through the highway. 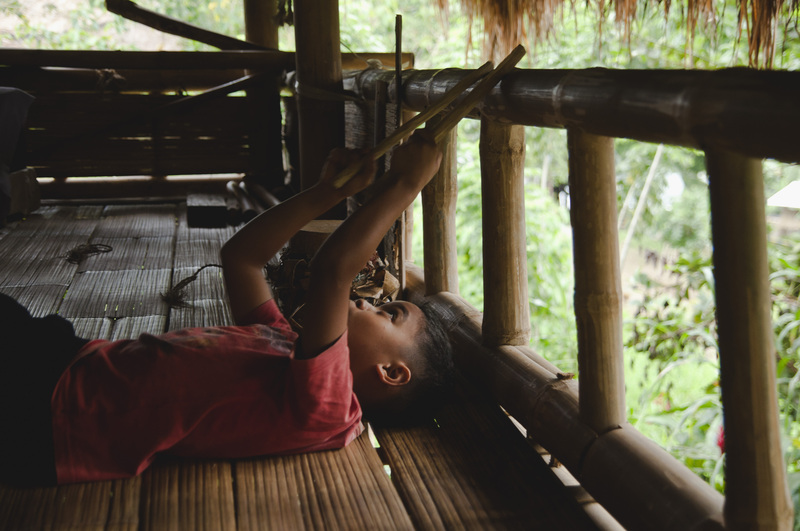 We’ve come a long way, switching from one mode of transportation to another – from a multi-cab to a bus to a cramped van to a habal-habal – to see the dreamweaver of Lake Sebu. Lang Dulay is over ninety years old now. 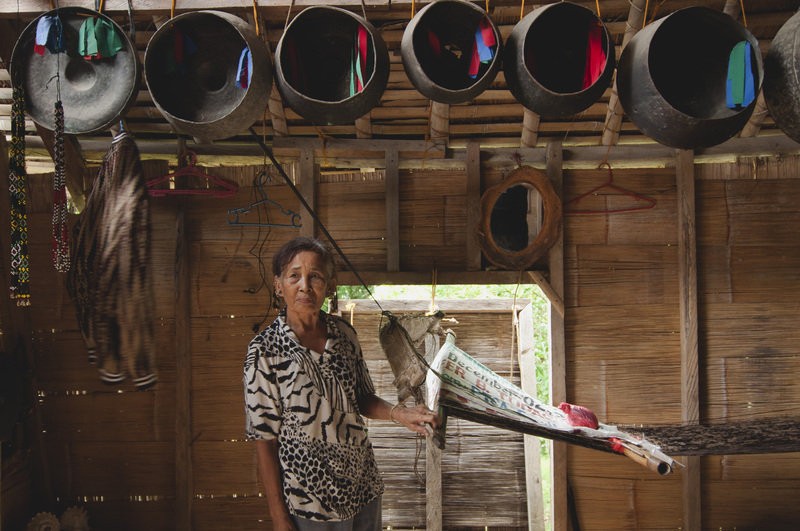 Her face and hands are wrinkled with age, and her body is hunched over, but she climbs the bamboo ladder of her longhouse with ease, as if she hasn’t aged a day. 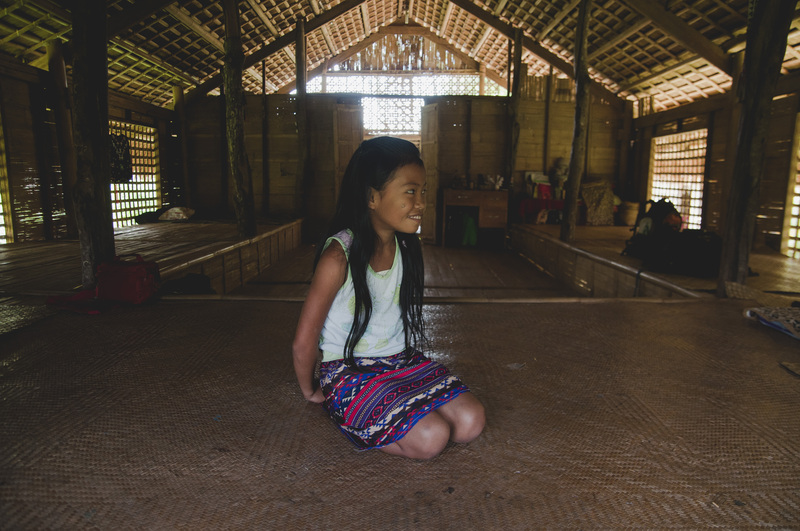 She doesn’t speak Tagalog or English, nor can she read or write, but that doesn’t bother her. She sits comfortably by the window, clad in traditional T’boli wear bursting with a kaleidoscope of red, green, and yellow geometrical shapes. “I started weaving when I was 12. It was my mom who taught me.” Her words come in soft, low murmurs, and they are all in the native dialect. 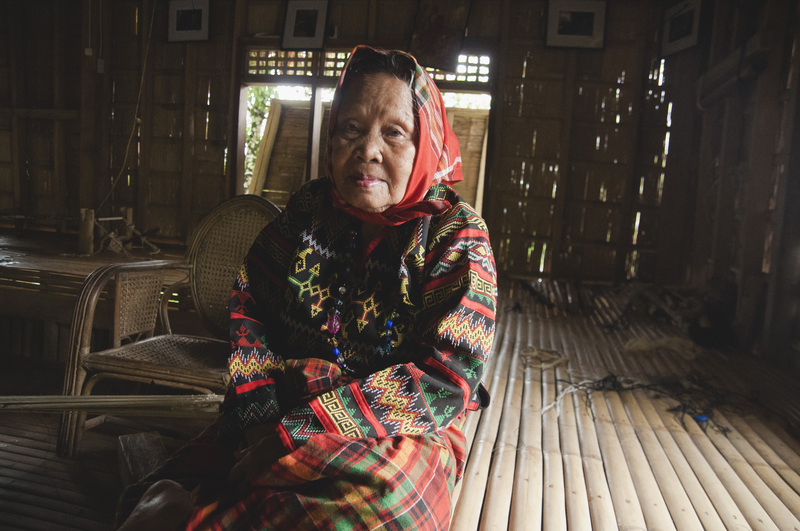 Sarah, our guide, sits beside Lang Dulay and translates everything for us. “I dreamed of a house. I went in and up the stairs, and saw a woman weaving. It is from her that I get all my designs.” Sarah explains that the woman is Fu Dalu, the goddess of abaca, who appears in dreams, and only to a select few. 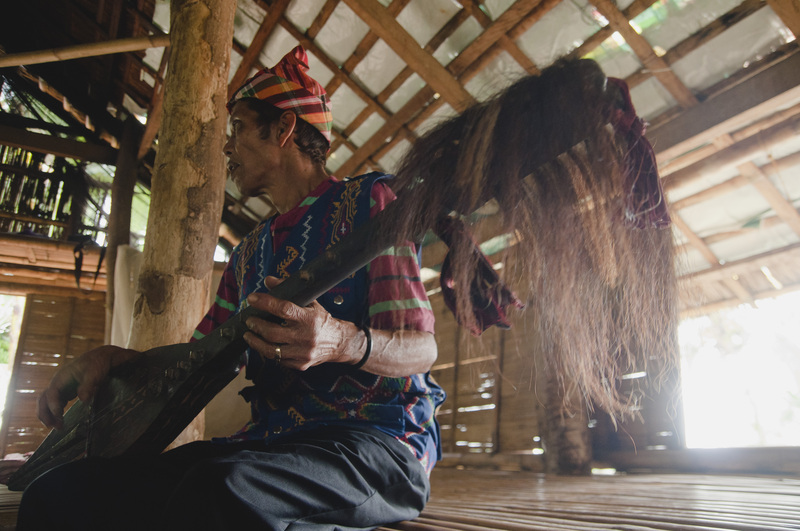 The kumbing is an instrument carved out of bamboo and played around a field when the weather is unfavorable. 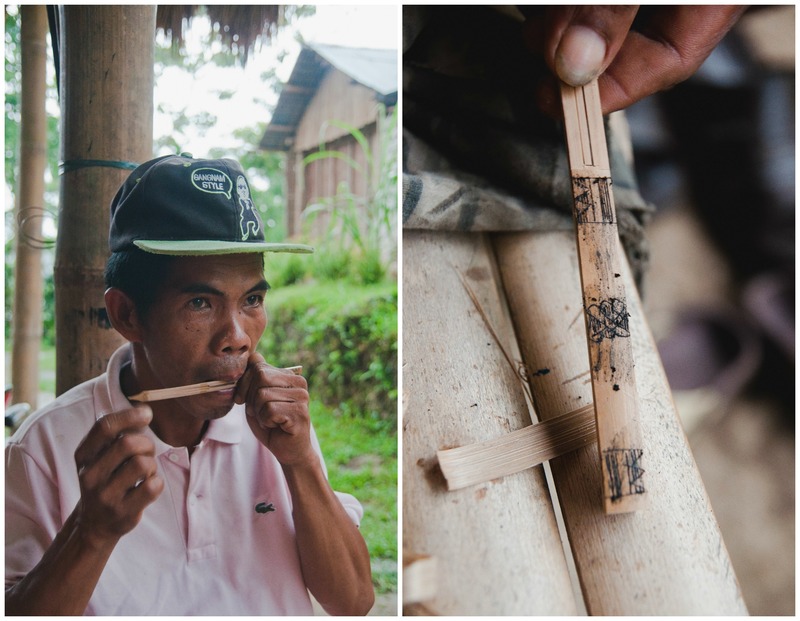 Afin is an expert in making the kumbing, deftly shaving off bits of bamboo to get the measurements that would produce the right sound. 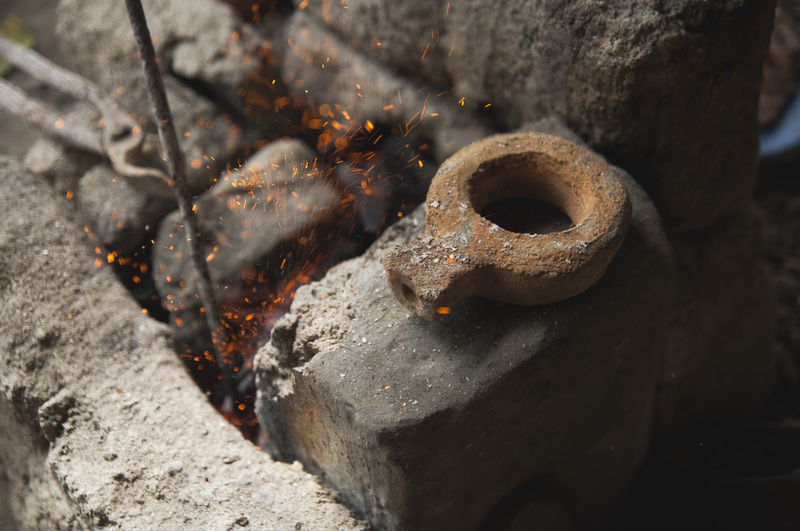 He tests it, putting it between his lips and striking one end repeatedly. He plays a surprisingly complex melody that is fluid and hypnotizing. When he is done, he tells us in a drawling, nasal voice, which in fact has the same timbre as his instrument, that the song is about the waves in the sea. Beautiful, Trish!! and great easy to read stories..